Welcome to our first issue in 2018. This week we take a look at some cool gadgets that appeared at this years CES show in Las Vegas. The latest 'Over The Top' episode is now live with INE Entertainment's Co-founder Eric Day, Lenovo and Google have joined forces, Logan Paul is dropped from YouTube, Facebook Watch take a niche at scale approach, Ikea want you to pee on their ad and a lot more! 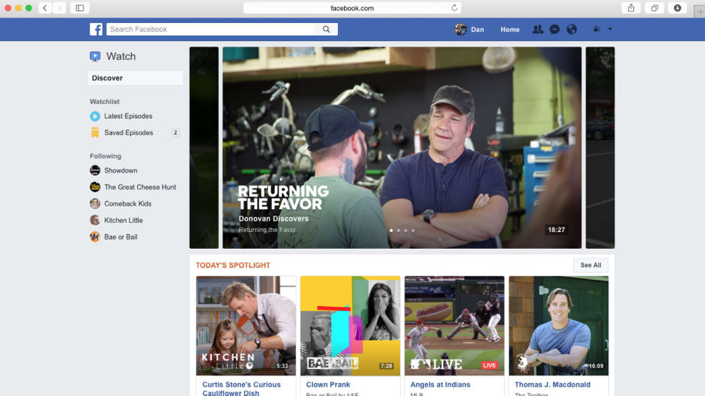 What will 2018 hold for Facebook Watch? Are we going to see a GOT style show come to the platform? Will people accept it as a place to watch long-form content? How will the deprioritization of publishers’ content in Facebook's news feed impact Facebook's plans for Watch? In this post, Fast Company explores how 2018 might unfold for the social network's TV ambitions. In this latest episode of 'Over The Top' Jocelyn, Dermot are joined by Eric Day, who is Co-founder of INE Entertainment. The TV model is most certainly broken in terms of the wasted money on paper and presentations and pilots that go nowhere. In this episode Jocelyn, Dermot and Eric discuss digital development, the economics of running a digital studio, and who the big buyers are for 2018 with some bold statements too. Each year at Rerun, we always enjoy watching out for the latest products from CES that will shape the future of TV. 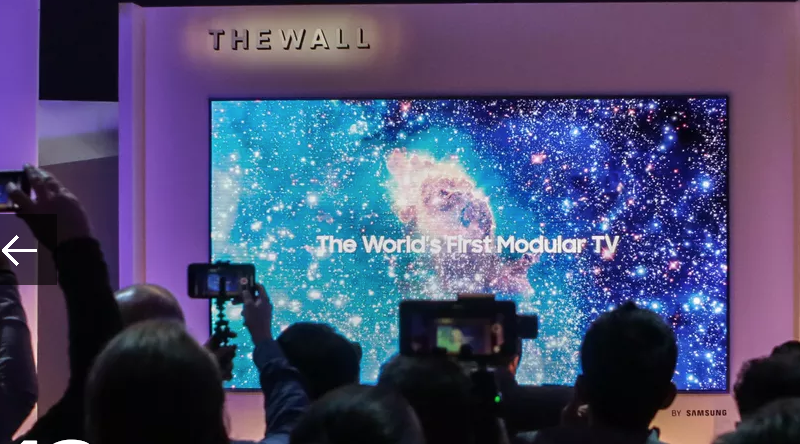 This year, TV's were a big feature of the event with LG Display's 65-inch 4K OLED display and Samsung's The Wall 146-inch TV. Of course we always enjoy hearing about the more avant-garde products in development such as the Kolibree Magik smart toothbrush or the Toto Floating Tub, which provides the perfect interstellar ambiance for a space like experience...! For the last few months Amazon and Google have been at logger heads. Google pulled YouTube from the Echo show as Amazon refused to sell Google products on Amazon.com. In the interim it seems that Google have developed their own version of Echo Show, called the Smart Display platform. However Google isn’t making its own hardware to cater for this platform. They are leaving it up to partners to create their own displays, with Lenovo being the first to launch at CES this week. Does Alexa now face significant competition? Google’s strong presence at CES this week shows the company is serious about competing with Amazon in the digital assistant arena. At Rerun, we wonder how Apple's HomePod will fair in this growing market. "Suicide Forest" is a now infamous video posted by Logan Paul, in which the YouTube star recorded and made jokes about the body of an apparent suicide victim in Japan. This is again bringing into question YouTube's ability to remove content that blatantly violates its community standards. And how it fosters the environment for content like this to be published in the first place. Paul's lacklustre punishment came on January 10 when YouTube announced it had removed the star from Google Preferred, its top-tier advertising program that allows creators to have access to revenue from premium advertisers. But his channel will remain, with almost 16 million subscribers. Twitch is a fascinating platform as every streamer is essentially running their own TV broadcast. They come complete all the production value you'd expect from a traditional TV broadcast, like dynamic graphic overlays, effects, switching between video feeds, picture-in-picture, and more. This new beta product from Streamlabs, the favoured streaming platform for Twitch users, has made it easier than ever to get started and to manage your stream. Last week’s issue of TIME magazine had a lot of first's in it. It is the first edited by a guest editor in its 94 years of existence and the first issue to feature augmented reality activations. There were four augmented reality activations in total which included an interview with guest editor Bill Gates by TIME’s Nancy Gibbs, an animated infographic on the global gender gap in education by contributor Bono, a video of the cover subject Mohamad Nasir, and a behind-the-scenes featurette showing how the issue was made. All accessible with TIME’s Life VR smartphone app. This is an exciting move in the print industry as it encourages a traditional format to become interactive. allowing the reader to be immersed in the content and to have an off-page experience too. Facebook are planning a shift in its News Feed algorithm that would prioritize “meaningful social interactions” over “relevant content”. So you can expect to see less from businesses and media outlets and more from your family and friends. This change comes after a year of criticism over Russian interference in the American presidential elections. When the platform became a breading ground for misinformation. An Irish news broadcaster had an unfortunate set malfunction earlier this week. We all know that feeling — aimlessly searching for a decent series to watch. We bet whoever was responsible for this, didn't expect that to be broadcast on live, national TV.